When the hair is wet it is filled with water. Wet hair is weak hair and more prone to breakage. 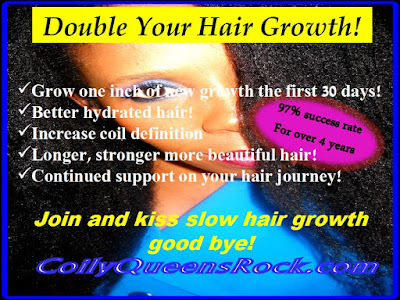 Dry hair does not have as much elasticity. Therefore detangling on damp hair is the best option, to preventing breakage. Remove tangles before submerging under water. This is the number one tip to retaining coily hair. Stop raking combs and brushes through your hair. Your fingers are perfect for detangling and styling your curly hair. Yes it takes a little longer, but finger comb for 60 days and watch the difference in your length. Protein treatment can help you retain lots of length. A good protein treatment will fortify your hair strands and keep them from breaking so easily. Having a good protein treatment plan is essential to growing your hair to long lengths. Especially if you have fine strands, medium strands or any type of hair damage. 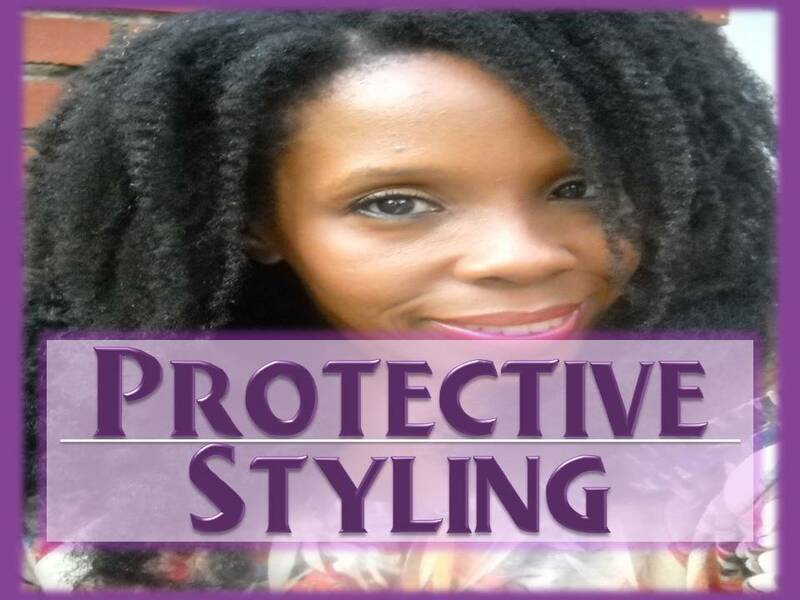 As you can see protective styling does not require fake hair. Protective styling is handling your coily hair with great care. Your beautiful Afro hair is strong enough to withstand the elements. God created it to withstand water, sun and air. We thank God by handling it with care and wearing it like a crown. Using good naturals products to preserve our crowns.